Target is having a great Clearance sale going on now....and if you spend $50 or more in select departments shipping is FREE!!!! Here are just a few items I came across that were great bargains.....there are lots more too!!! You can see all the clearance they have here. Just be sure to look for the "Free Shipping " logo above the price to make sure it is an eligible item that ships for free!! 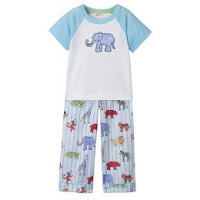 Toddler Boys' Nick & Nora Short-Sleeve Elephant Pajama Set for just $6.49 (Save 50% off). Toddler Girls' Circo Ski Jacket in Gold for just $4.99 (Save 80% off) . 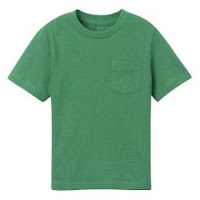 Infant Boys' Genuine Kids Short-Sleeve Woven Plaid Shirt just $3.99 (Save 50% off). Let me know if you find any great clearance buys!! They are out of the cute pj's for the boy. I will have to head to the B&M to see what they have there. Let me know hif you find anything at the B&M...maybe I'll check it out too.